The competition isn’t to be feared. Here’s how to use your rivals to thrive in the water. For a moment imagine you are one of the fastest butterflyers and medley specialists on the planet. 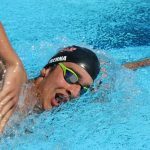 The skill, the years of ruthless dedication to your sport, the mental energy and effort required to become efficient and conditioned enough to swim the 200m butterfly and the 400m individual medley at a world-class level. You are so fast, in fact, that it’s possible that you are going to win Olympic gold in not only one, but a bunch of individual events. Your rise collides with the reign of the greatest swimmer in the history of the sport. And then at your fourth Olympics, another silver medal at Rio in 2016. In fact, it isn’t until 2017—twelve years after his last Worlds gold medal— when he out-touches Chad le Clos of South Africa in the 200m butterfly, that Hungary’s Lazslo Cseh shakes the curse of silver and bronze. The big rivalry in the pool in the late 2000’s was between Michael Phelps and a surging Ryan Lochte. At least, that’s where all the attention was being placed. The two raced often, and so the constant clashing in Grand Prix meets, Nationals, Trials and international meets made for an easier storyline and rivalry. 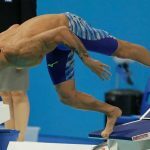 But despite the media attention heaped on the two Americans, it was Hungarian Laszlo Cseh who posed the biggest threat to Phelps’ dominance, particularly in Beijing. 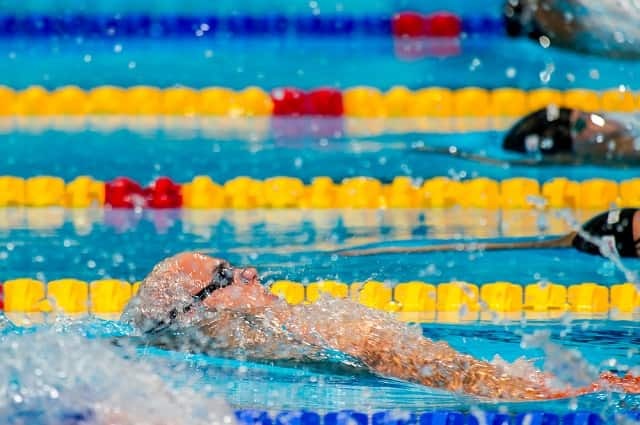 At the 2008 Olympics, Cseh would win silver three times behind Phelps, in both medleys (relegating Lochte to bronze in both events), and the 200m butterfly. In the years that follow, as Cseh continues his pursuit for that elusive gold medal, there are moments where he is rendered exhausted. The training necessary to dethrone the greatest swimmer in history in two of the hardest events on the swimming program is no joke. 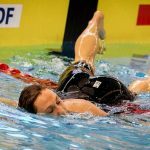 When the doubt creeps in, when the fatigue begins to cloud his motivation, Cseh cues up the video from the final of the 200m butterfly in Beijing. In that race, Phelps, on his way to his fourth gold medal of the Games, beats Cseh by nearly seven tenths of a second. Cseh keeps the video on his phone for easy access and quick viewing on those days. At the 2012 Olympics, Cseh again places behind Phelps in the 200 IM, this time taking the bronze medal. Four years later at the Rio Olympics, Cseh nearly bests Phelps for the first time in the 100m butterfly, only to look at the scoreboard to see that he and his long-time rival have tied for the silver medal. There’s some weird cosmic irony that the closest Cseh gets to beating Phelps is a tie in Phelps’ final individual Olympic event. Small mercies. Cseh admits that he thought about whether his career has been elevated or cursed by swimming in the same generation as Phelps and Ryan Lochte. The heat of competition can bring out the best in us. The USA men in the 4x100m freestyle relay in Beijing are a classic example—there’s no way that Jason Lezak doesn’t swim the fastest relay split in history if he isn’t competing against a worthy opponent in the French team. These rivalries exist for us in our own, less-Olympic pursuit of the sport. There is that one swimmer who you always search for in the heat sheets; the swimmer who you’ve battled with on a few occasions; the teammate who never backs down on hard sets. Rivalry can be massive when it comes to boosting our performance. Research into how rivalry affects athletes goes way back to 1898, when psychologist Norman Triplett discovered that cyclists would consistently work harder and race faster when paired up against another cyclist instead of merely trying to beat the clock. His experiments revealed something called the co-action effect , where we increase our effort because we see someone else doing the same thing. Beyond the benefits of faceless competition, there is a performance benefit when the person in the next lane is a rival. A study out of NYU followed over 1,000 runners during a six-year period. When a runner’s rival was competing in the same race, the runner would run an average of five seconds per kilometer faster. Spread that improvement over a 10k race and we are talking about a whopping 50 seconds. Sweet chlorinated drag suits! Gavin Kilduff, the NYU professor who authored the paper, found that the boost in improvement wasn’t automatically because the rivals didn’t like each other. In the pool this manifests in a few different ways. When someone is ahead of us in the lane, we try to catch them. When a swimmer is in the next lane and they are pushing the pace, it motivates us to get after it, too. This kind of competitiveness is natural and farm-to-table okay! 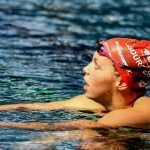 Too often swimmers will ease off their effort in practice (or even competition!) 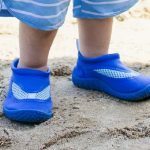 at the risk of looking like they are being too aggressive or competitive, believing that being competitive is like being a try-hard. Use the competition to show you what’s possible (not the other way around). Competition and rivalry should push you and show you what’s possible in the water. 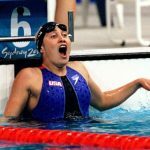 If you are going to get all into obsessing what other swimmers are doing it better motivate you and get you fired up to max out your own talent and ability, otherwise it’s a waste of energy. Think about the competition when times get tough. Cseh, on those early mornings—which we all loathe in varying degrees—would fire up that race video from Beijing to give him a jolt. He needed to push himself to the maximum, because he knew that out there, somewhere, his competitors were doing the same. Imagine the competition in the next lane at practice. This was something I did often in my age group swimming days—I would Photoshop the face of my competitor onto my teammate in the next lane and race them during the main sets. 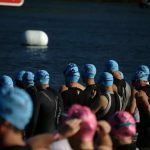 This is an easy way to push through the long slogs of training and maximizing the effort of yourself (and pushing your teammates along the way, too). Embrace the attitude of competition. Our sport is competitive by nature. We rank by placings and times. And yet, often we shy away from the competitive aspect of it because we think of the negative and ugly sides of competition—cheating, poor sportsmanship, boorish aggressiveness. Being competitive doesn’t mean being a jerk—it means giving your best. Every day, in everything you do. You deserve nothing less. Of course, rivalry can spiral into needless comparison-making if all we are doing is looking at the swimmer in the next lane. Focusing on others endlessly drains us of the energy better spent on our own preparation. 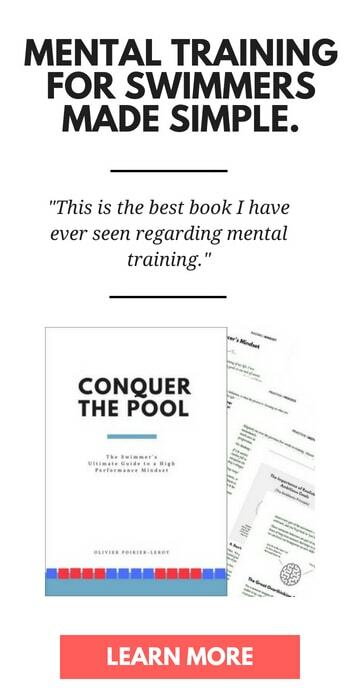 Ultimately, your goal is being the best swimmer you can be. To push your abilities and talent to the very limit. Use rivalry and competitiveness as a weapon and as fuel for high-performance, not as the only reason you show up on the pool deck. In that 100m butterfly final in Rio, while everyone was paying attention to the grudge match between Phelps, Le Clos and Cseh, it was newcomer Joseph Schooling of Singapore who stormed by for the gold medal. Katie Ledecky : Train the Way You Want to Win. In the 200m freestyle at the Rio Olympics the gold medal came down to the finish. Here’s how Ledecky won gold a million times over in practice. 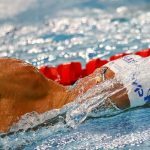 Caeleb Dressel: Carry a Big Kick and Bigger Goals. In March of 2018, Caeleb Dressel completely up-ended what everyone thought was possible in the 50-yard freestyle. Here’s why you should start setting your sights higher, too.